Dave Maass filed this request with the Hillsboro Police Department of Hillsboro, OR. I wanted to follow up on the following Public Records request, copied below, and originally submitted on Feb. 13, 2018. Please let me know when I can expect to receive a response, or if further clarification is needed. 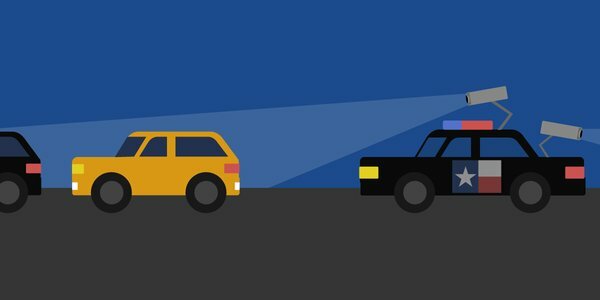 The Hillsboro Police Department has received your request for License Plate Reader data. The police department will review the request and respond within five business days with the estimated cost and timeline to provide the requested materials. If you have any questions in the interim, please feel free to contact me. I wanted to update you we are still reviewing and preparing a cost estimate for the records requested. We review records requests in the order in which they are received and as soon as we have an estimated cost and timeline prepared which I hope to be around the first of next week, I will provide you that information. We completed the review of requested records and estimate will take approximately 1.5 hours to complete your request with the first ½ hour being free of charge. The total cost for this request is $70.10. Upon receipt of payment, I anticipate it will take approximately 3-5 business days to fulfill request. We have filed this request with hundreds of agencies. So far, the great majority have charged us no fees whatsoever. The other agencies have not required more than a few dollars. Agencies have told us it takes no more than 10 minutes to generate these files. This assessment is excessive and prohibitive, and I urge you to reconsider. Otherwise, please provide me with the name and contact details of the appropriate representative in your department's legal department. Thank you for sharing your concern regarding the City of Hillsboro fee schedule. I have referred your request for reconsideration to the City Recorder’s office. I anticipate you will hear back from their office next week. Requests for fee waivers and considered by the City Manager Michael Brown. He has reviewed your request and is not approving a fee waiver. If you wish to proceed, please coordinate payment with our Police Department. Here is a link<https://www.hillsboro-oregon.gov/departments/city-manager-s-office/city-records-city-recorder/records-requests> to our policy. Could you please put me in touch with City Manager Michael Brown directly or alternately the city's legal counsel? Dave: Please send me a contact number and you will be contacted this week. Thank you.